The new edition has ten cars available. In addition to the eight cars available in Outrun 2; F40, F50, Enzo, 360 Spider, Testarossa, 288 GTO, Dino 246 GTS and 365 GTS/4 Daytona, the new edition of this driving game boasts the 250 GTO and 512 BB. Also extra to the Special Tours edition is the option for players to change the colour of their car simply by tapping the gear lever. 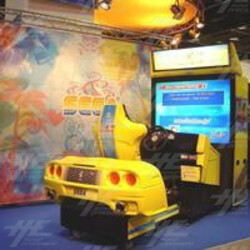 Some of the advanced playing features unique to OutRun 2 SP Special Tours include the slipstream technique, where a player can pull in behind another car and enter its slipstream to increase their own speed. In a slipstream, the 250 GTO can increase its speed by over 20 kilometres an hour. Another added feature in the new game is the increased ease of play, as players receive less damage and less speed reduction when they crash their car. Players can select the difficulty in this version, with the option of normal, flexible handling for a new player or tuned, fast handling for an advanced player. OutRun 2 SP Special Tours has 15 new courses, (a total of 30 available courses) with enhanced graphics and detailed flying objects in the backgrounds such as birds, hot-air balloons, twinkling stars and meteor showers. For more information, or to place an order contact "> .